Situated in the leafy suburbs of Belfast, overlooking the landscaped gardens of Stormont Castle, the luxury Stormont Hotel is only four miles from Belfast City Centre. The hotel is 15 minutes drive from major motorways, and air, ferry and rail terminals. Renowned for its professionalism, the Stormont hotel has 105 bedrooms and 16 conference suites. Guests can enjoy contemporary dining in Shiraz Restaurant or the cosmopolitan atmosphere of La Scala bistro, or simply relax in the recently refurbished lounge and reception area by the log burning fire. 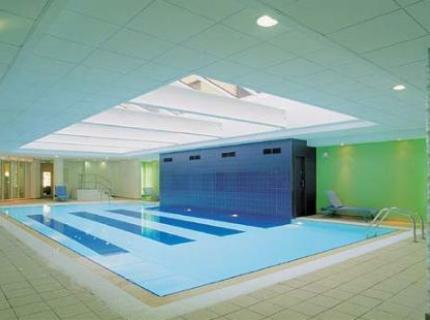 Guests can also enjoy complimentary use of the David Lloyd Centre nearby. The spectacular scenery of the Ards Peninsula and County Down, and over 20 golf courses are all close at hand. Complimentary car parking for 400 cars at the front of the hotel.